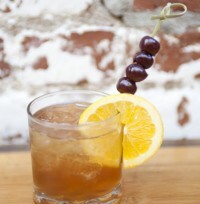 We hope you will have a blast making some of these beautiful cocktails with Troy & Sons and Blonde Whiskey. These recipes come from some of our favorite restaurants in Asheville and around the South. Don't be afraid to experiment or innovate. Try to use fresh fruits and herbs as much as possible in your cocktails. Your drinks will be so much better. With our award winning, pure heart whiskies, your cocktails are sure to impress your family and friends. Remember that if you find a recipe at a favorite restaurant or on line, you can always substitute Troy & Sons or Blonde Whiskey in the same amount to make a pure and delicious drink. Enjoy the adventure.